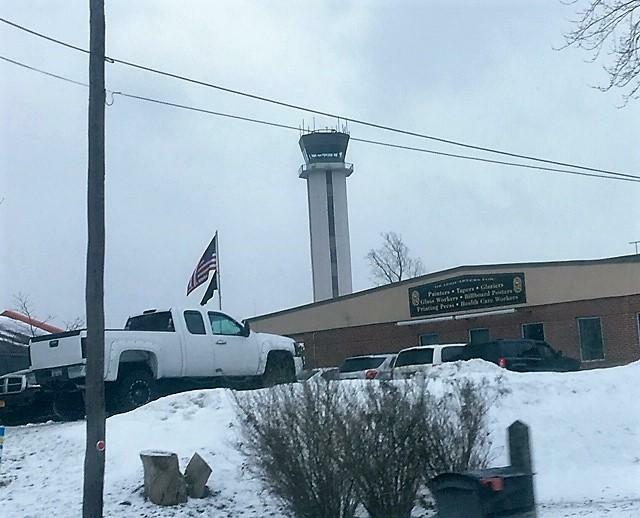 No one was hurt when a plane slid into a passenger jet way bridge early Wednesday morning at the Buffalo Niagara International Airport. WBFO's senior reporter Eileen Buckley was at the airport to find out what happened. Outside the Buffalo Niagara International Airport Wednesday with very strong wind & blowing snow. WBFO's senior reporter Eileen Buckley was at the airport to find out what happened. As United Flight 1442 was departing from the airport, the nose of the plane pushed out, striking the passenger jet bridge at Gate #9. It’s believed strong winds were a factor. 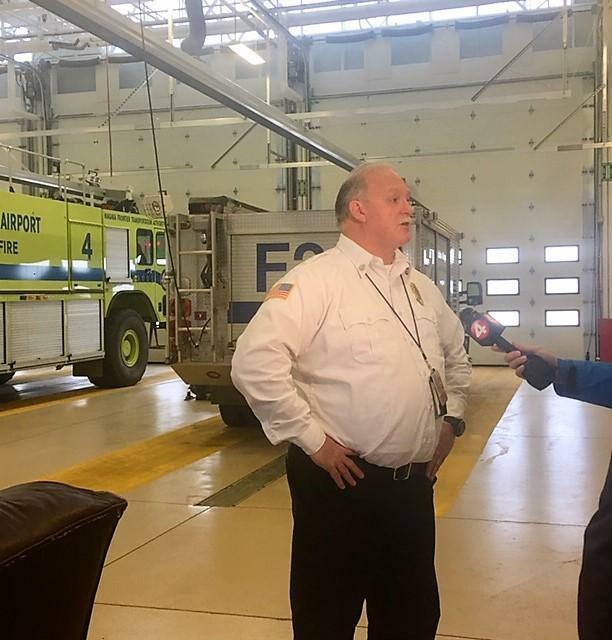 NFTA Fire Chief Bill Major tells WBFO News all 158 people who were on board were brought safely out of the plane and no one was injured. NFTA Fire Chief Bill Major talks about incident. “The fire department was dispatched at 6:55 to respond to Gate 9 for a passenger plane that had made contact with the passenger jet way. We got on location – the plane was still connected to the tug that was pushing it back – the jetway had been pulled to its normal position. The assistant chief that got on location made contact with the pilot to make sure that nobody was injured on the aircraft,” Major explained. The flight was headed to Newark, New Jersey. An investigation continues. 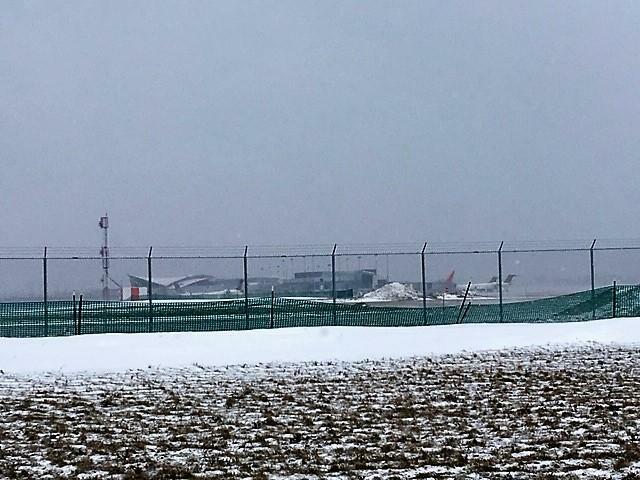 The strong winds combined with snow to make conditions difficult at the airport Tuesday. Chief Major noted at the time of the incident winds gusted up to 43 miles an hour. Just after 4:30 a.m. Wednesday, the National Weather Service said a peak gust was clocked at 59 miles per hour at the Buffalo airport. Buffalo Niagara International Airport Control Tower in distance. An investigation was underway Friday into an early morning crash of a tanker truck that led to a large fuel spill on the grounds of the Buffalo Niagara International Airport. Emergency crews are at work early Friday morning at Prior Aviation.